Hook up the encoder with the connections as described. Make sure power supply meets specifications. 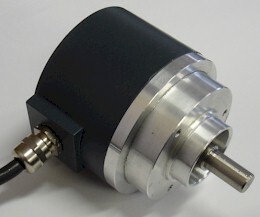 Attach encoder to mounting bracket as shown. Attach shaft using a flexible coupling.